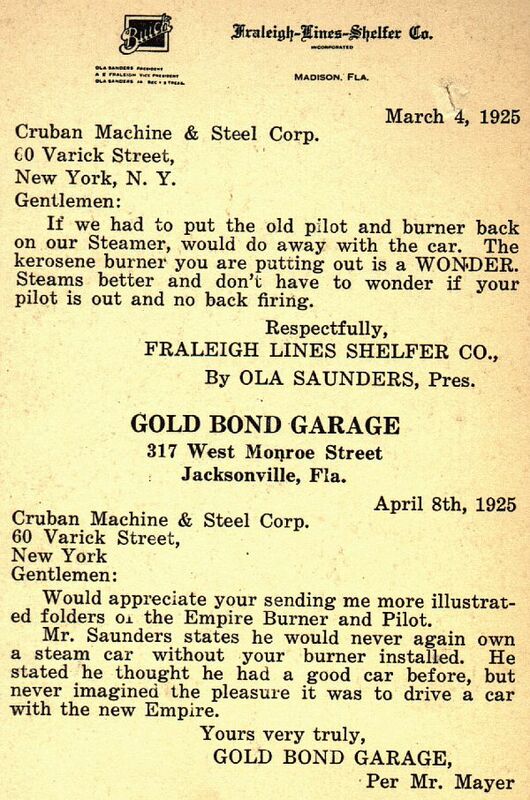 Cruban offered a burner and pilot light combination of their own design along with other steam car after-market parts. 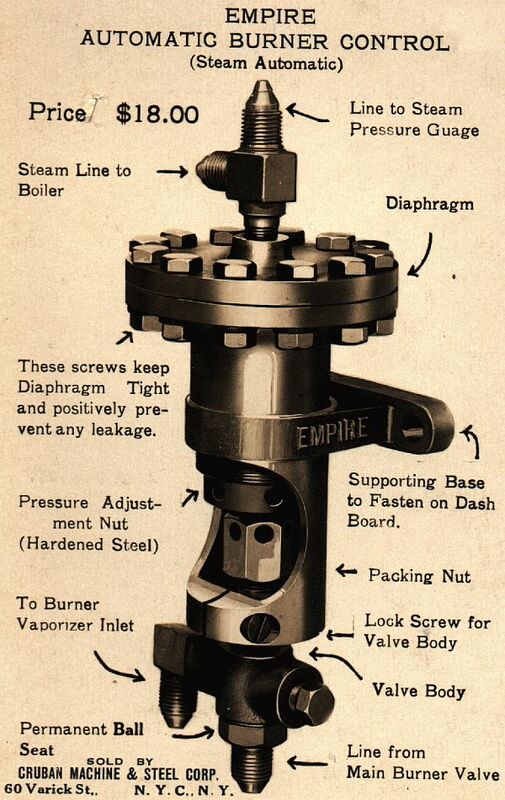 Known as Empire Burners, they were manufactured by Cruban Machine & Tool Works (also known as Cruban Machine and Steel Works) in New York, New York. 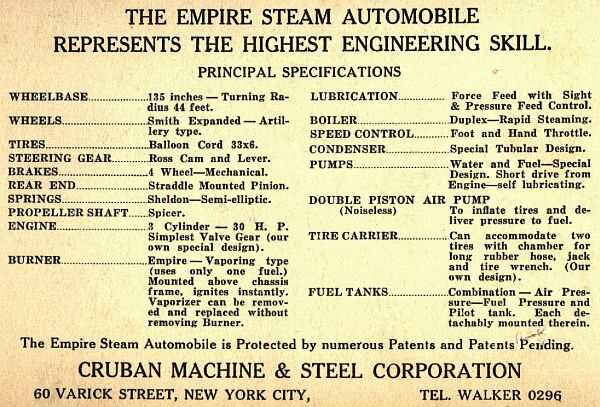 Below is an advertising card on the Curban Steam Automatic. 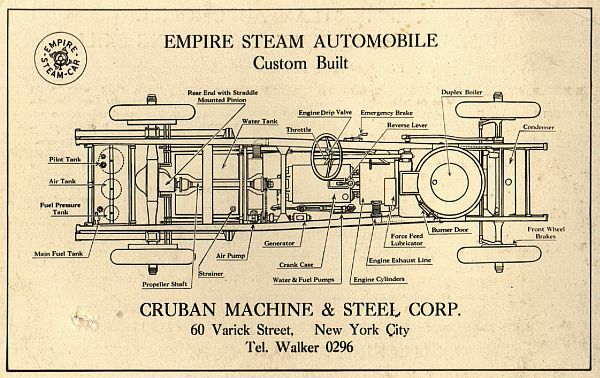 Also of interest is a card describing Cruban's steam car. This page takes approximately 2-1/2 minutes to fully load at 56K. describing the features of the Cruban Empire Burner.